Finding a Home in Perth...: Return of the first home buyer? Return of the first home buyer? All around Australia, the real estate market is looking for the end of the correction but there is no end in sight. 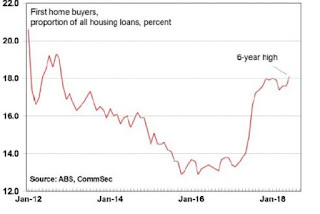 One piece of good news comes from the Constant Investor which showed that the first home buyers as a proportion of all housing loans has increased to a six year high. 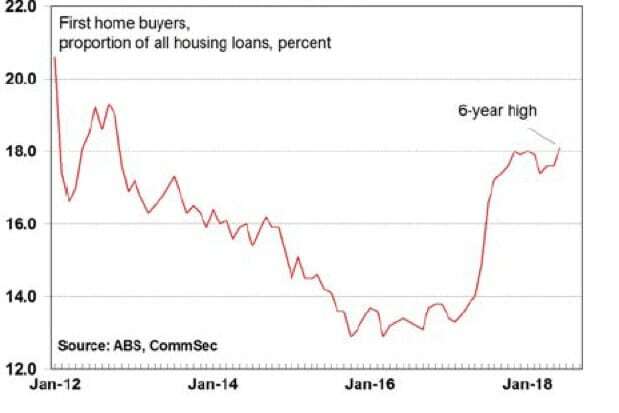 There are two ways this could happen, one is that the proportion of investor loans taken has decreased, or the first home buyers has increased. We think it is more likely that investors are not taking up as many loans. Banks are under enormous pressure to improve their lending practices which means lending out more carefully. Also with a bear market, investors are also hesitant to buy but first home buyers often have no choice if they need a house. So what do you think? How Bad is Your Perth Suburb? Please direct all media enquiries by email to myhomeinperth@gmail.com.